It is thought that this became the very place where the Temple of God was built. Therefore this place of worship became a place where the people praised God and offered up prayers. 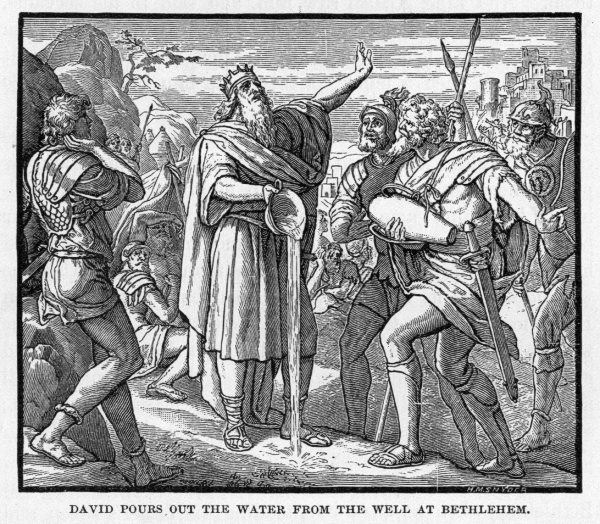 “Oh, that someone would get me a drink of water from the well near the gate of Bethlehem!” So the three mighty men broke through the Philistine lines, drew water from the well near the gate of Bethlehem and carried it back to David. 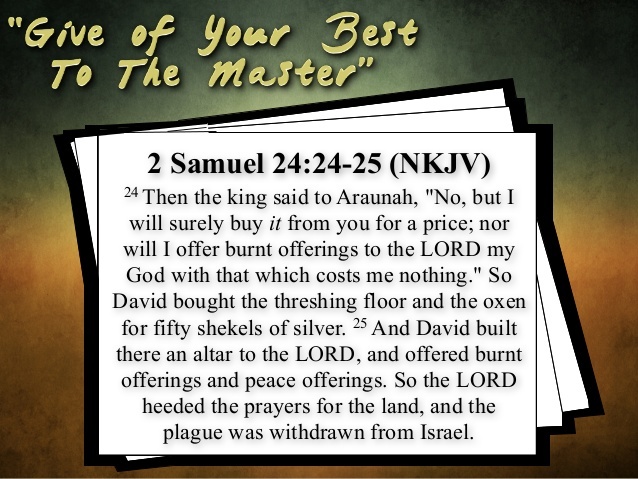 But he refused to drink it; instead, he poured it out before the LORD. “Far be it from me, O LORD, to do this!” he said. “Is it not the blood of men who went at the risk of their lives?” And David would not drink it. Such were the exploits of the three mighty men (2 Sam. 23:15-17 NIV). I appeal to you therefore, brothers, by the mercies of God, to present your bodies as a living sacrifice, holy and acceptable to God, which is your spiritual worship (Romans 12:1 ESV). Let us offer unto our God the true worship in spirit and truth: “God is Spirit, and those who worship Him must worship in spirit and truth.” (John 4:24).